I really want a free copy of iMindMap 5 Ultimate! If you really want a free copy of the best mind mapping software ever created (iMindMap 5), you can take part to this simple competition. There are two ways in which you can participate and they both involve sharing. You can obviously contribute more than one mind map and/or ideas and priority will be given to the most active contributors, e.g. 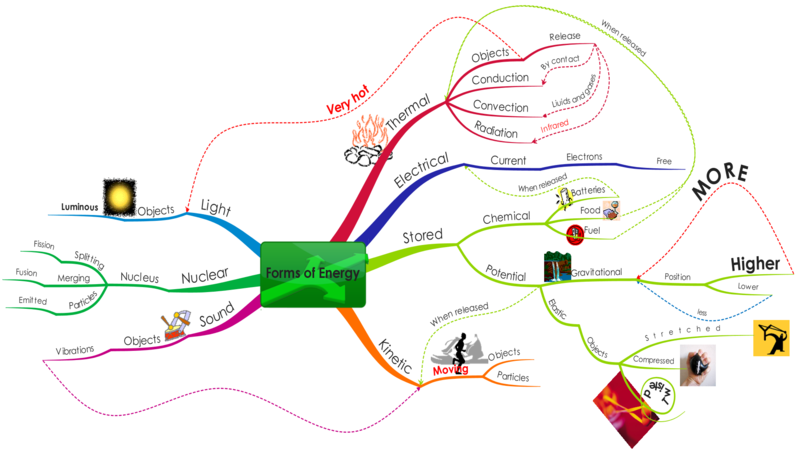 creating a mind map is obviously more demanding than writing a comment (or you could mind map your idea using iMindMap 5). You have time until the 7th July to submit your entries. The rest of this Blog post is about some of the rules of mind mapping and why I love the idea of Biggerplate! Yes, you heard correctly, there are rules to mind mapping and you might be pleased to hear that I have not made them, but the creator of mind mapping himself, Tony Buzan! “But I though mind mapping was a creative and free process that should reflect the way in which your brain works!” you might say and I would agree with you. In fact, that is precisely why there are rules to follow in order to achieve good and effective results in mind mapping. Our brain works in very efficient and creative ways which we don’t easily realize because we have been trained for years to use tools and strategies that are limiting the potential of our brains. Our mind thinks in a radial way, pretty much like a mind map does. From a central idea a series of associations and connections radiate to derive greater understanding of that idea and that often are used to solve problems related to that idea. This often leads to another important idea that also radiates into multiple associations and connections between ideas into a complex, but very coherent network of associations interrelated to each other which derive and construct meaning. Neuroscience has shown that both sides of our brain work together in any task we tackle and different areas of the two sides of our brains are activated constantly and intermittently as we think and process information. This complex process of information exchange and processing is mirrored very well by a mind map, and even better by multiple mind maps (which is now a feature of iMindMap 5 which I find really useful), you can find an example of this here. I guess what I am trying to say, is that what we need in order to improve the efficiency of our brains is not necessarily freedom to develop “our way to learn”, but to learn a way that is proven to mirror the way our brain works! I often meet people who say they have tried mind mapping but that it is not for them, or others (and I used to be one of them) who think they are mind mapping, while they are actually still using linear note taking in a slightly more colourful way and linking whole sentences with other whole sentences, like this one I created a few years ago thinking I was helping my students learning about types of energy. The problem with whole sentences is that they don’t really allow for associations and connections to be created, or they do so in a very limiting way. Take for example the concept of speed. If I am mind mapping about motion and use two words, say “constant speed”, in the same branch, I have limited that branch to develop into associations that are limited to the concept of constant speed. But if I had use the word speed in a branch and constant in a daughter branch, I can now make many more associations with the word speed, e.g. constant, increasing, decreasing, units –> m/s, formula –> Δd/Δt, etc… can all be daughters of the branch speed and lead to more associations and deeper meaning and retention of information. 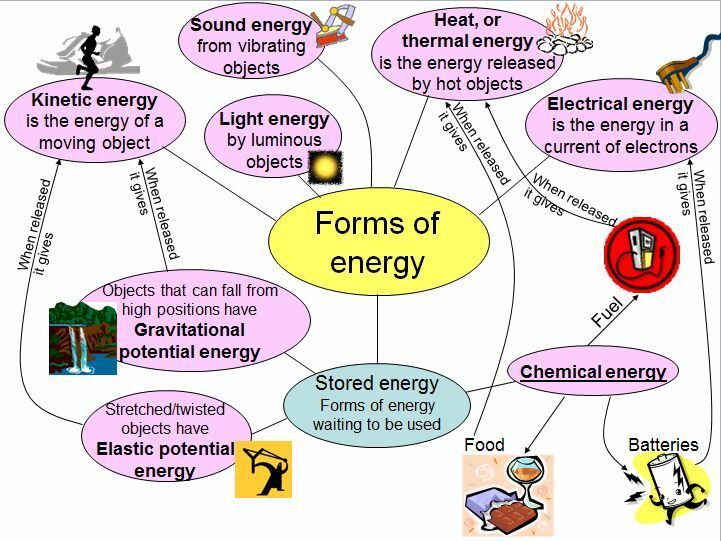 So, the types of energy “mind map” I created could turn into this (you can download it here). I will let Tony Buzan explain the other rules and their importance in the video below and if you are convinced, please take part to this really exciting competition and share your mind maps on Biggerplate which is a fantastic community website for sharing mind maps and it now supports iMindMap 5! I love the idea of Biggerplate and one application I can see, especially now that iMindMap 5 Basic is free for all, is that a teacher can create a template with maybe just the main branches of a mind map on a particular topic and let their pupils download and complete the iMindMap as a learning activity. The learners can then upload their mind maps on their accounts and the teacher can leave feedback as comments and learners can also peer feedback on each other’s mind maps as an Assessment for Learning activity! In addition, parents are now able to interact with their children’s work in a more dynamic and engaging way. But the fun doesn’t end there! As a teacher you could let other teachers and classes use your templates and collaborate with other schools in your local area and, why not, worldwide! So, iMindMap 5 is here and there has never been a better time to try it, as the Basic version is free, a word that teachers and skint schools are always very pleased to hear. And the Ultimate version, which is what you could win (if you take part to this simple competition), has some really amazing features, like 3D mind map view, which is a stunning way to navigate through your mind map, multimaps (fantastic for connecting multiple central ideas with each other), 3D presentation view which will blow your mind for the powerful visual effects that it creates, and many other great functions like the Smart Layout that spaces branches out for you and that is the most powerful and fastest way of drawing mind maps when combined with shortcut keys like TAB for new daughter branch and ENTER for sibling branch! Take a look at all the new features here and check this video out to see how iMindMap can transform the way you work and go about your day! Bono Voz? U2 can try it! I recently come across a really nice, simple and quick Web 2.0 Tool called vozMe. It is a fun application that turns whatever text you write in the text box provided into an electronic voice message. I used it a lot to freak out my classes as they came in and to build some rapport by having a laugh at the beginning of the lesson. It is also quite useful to share the lesson objectives in a fun way with your pupils and it works magic when you use it to rebuke a misbehaving child (only the first two or three times though), because they actually listen to the voice, more than they would listen to you, and do what it says! You can choose a male or female voice and also the language you want to write on. This will change the sounds the computerized voice will make for given letters and syllables. I can see how this could be used in MFL lessons to get your pupils to check their pronunciation of foreign words, etc. But I believe it could be used in English Literature as well to show the importance of intonation and emphasis of words! Try writing one of Shakespeare poems in the text box and play it back to the children to see their responses! And if you have big school Drama Productions you might just need a robotic voice in some of your plays. vozMe is very simple and many could think quite pointless, but sometimes the simplest ideas are great and can work wonders. Have a go with your classes and let me know how useful, or not, this tool has been to you! Office Web Apps are here! A couple of days ago Microsoft has launched Office Web Apps and this is great news for Educators. In fact, this is a great tool to enhance collaboration in the classroom, at home for collaborative projects that go beyond teaching time and even to collaborate with other classes worldwide! Not only you can create and edit Word, PowerPoint, Excel and OneNote files directly from the browser, but you can also edit in your desktop where you can use the full functionality of your installed Office packages! And what about those pupils who haven’t got Office 2007 or 2010? It is no longer a problem, because they can edit from the cloud, directly from their skydrive. Basically all they need is to link their existing email (which could be their school email) to a Live ID. If you thought this was great, keep reading (and watch the video below) because Office Web Apps also allow you to share your files with whoever you want and multiple users can contribute to the files simultaneously, e.g. edit the same spreadsheet the whole class is using! Don’t miss the chance to share, as it is by sharing that you get a better understanding of how to maximize your effectiveness as a teacher and learner! Please, share this blog with as many people as possible! My top five list of features in Office 2007! You can share a workbook with multiple users over a network! Just go to the “Review” Ribbon and click on “Share Workbook” and tick the “Allow changes…” box. It’s as easy as that! I have used it to create real time polls in my classes and for other collaborative projects. To see the changes made by other users the individual user has to save the work repeatedly, which is not as good as spreadsheets in Google Docs. You also have the disadvantage, unlike Google Docs, that you cannot share the workbook over the Internet, but just on a local network. However, for schools this feature is just AWESOME, because it lets you share a workbook with entire classes and you retain all the really amazing features of Excel 2007, features like Smart Arts and the new graphing tools that make look Google Docs spreadsheets like primitive cave drawings in comparison! Triggers in PowerPoint allow you to start animation effects of objects on your slides at the click of other objects, so you can get things to move, change, appear and disappear by clicking on existing objects, or even “invisible” buttons that you have created. The possibilities are limitless. I have seen Blockbuster games designed with triggers and I have made multiple teams games, where from the same slide two teams can play and affect changes on the side of their team. I have also created drop down menus to navigate around your presentation (this is very effective and looks very professional) and spelling and Numeracy games. Have fun with triggers, you will find them in the Timing tool for each animation you create in PowerPoint! Download my Innovid on Triggers here. Ink has actually been around for a long time in PowerPoint, but Office 2007 has extended it to Word and Excel too, which is a great asset, if you are using an interactive whiteboard, or a Tablet PC. Well the name says it all, with Ink you can use your interactive pen to hand write directly on you PowerPoint presentations, Word documents and even Excel workbooks. I will produce an Innovid on Ink very soon, so I’ll let you know when you can access this one! Meanwhile, if you want to have a go at inking, you’ll find this tool in the Review ribbons. Have fun with it! PPTplex is an amazing plug-in for PowerPoint 2007 that allows you to display all your slides as if they were on a canvas! You can then zoom in and out of each section of your canvas and enjoy the looks of amazement of your audience. You can also look at the PPTplex blog to get your Wiimote to act as the mouse and control your presentation using a Nintento Wii remote control. This is quite amazing! The Maths Add-in enhances the already very good Equation Editor in Word 2007 and lets you solve simple and simultaneous equations. You can also plot 2-D and 3-D graphs directly in Word and trace the curve, or rotate around the axis of your choice! I have made an Innovid about this Add-in, so take a look at it and have fun with it! Well, these are my top five features in Office 2007. What are yours? Please comment!! !